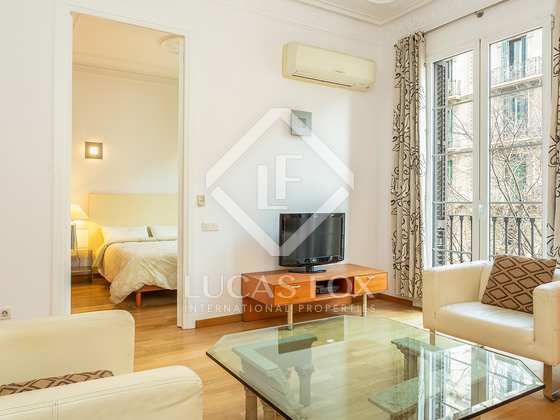 Wonderful 2-bedroom luxury apartment with a long balcony, for sale in a stately building near Plaça Universitat. 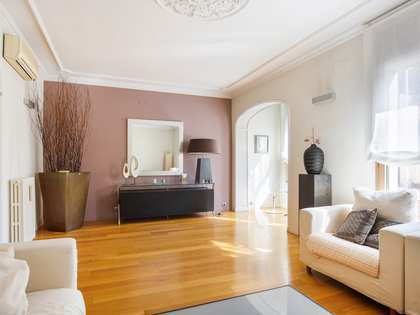 In move-in condition. This fantastic apartment, with a built size of 80 m² (70 m² usable), is on the third floor (real height) of a 'finca regia' in good condition with a lift. 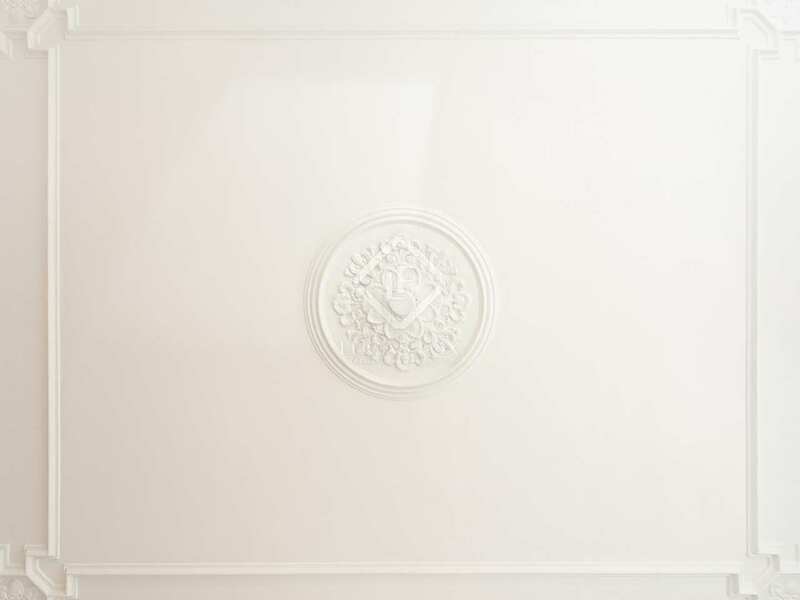 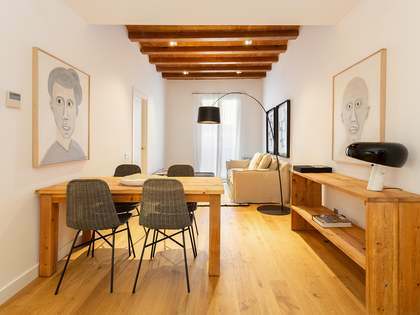 The property was renovated just a few years ago and stands out for its comfortable living spaces, great natural light and high ceilings with decorative mouldings. 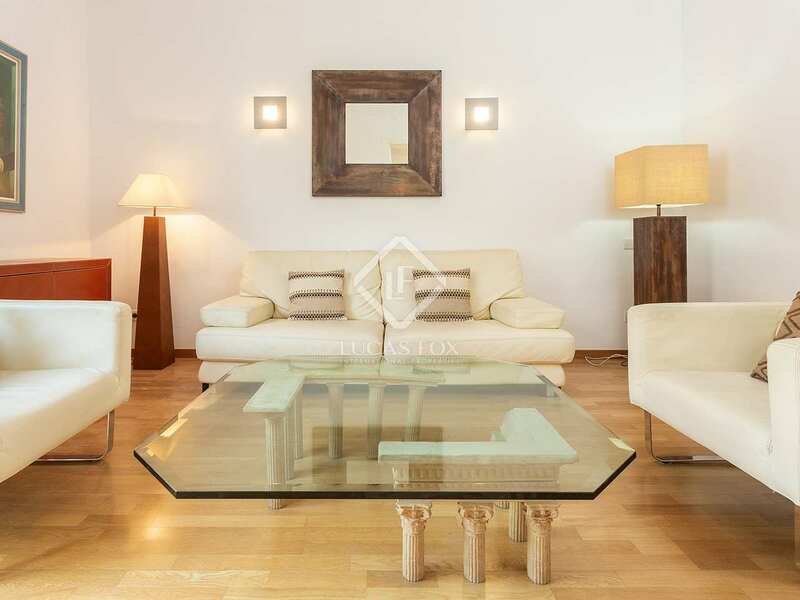 The apartment is sold fully furnished and ready to move straight into or rent out. 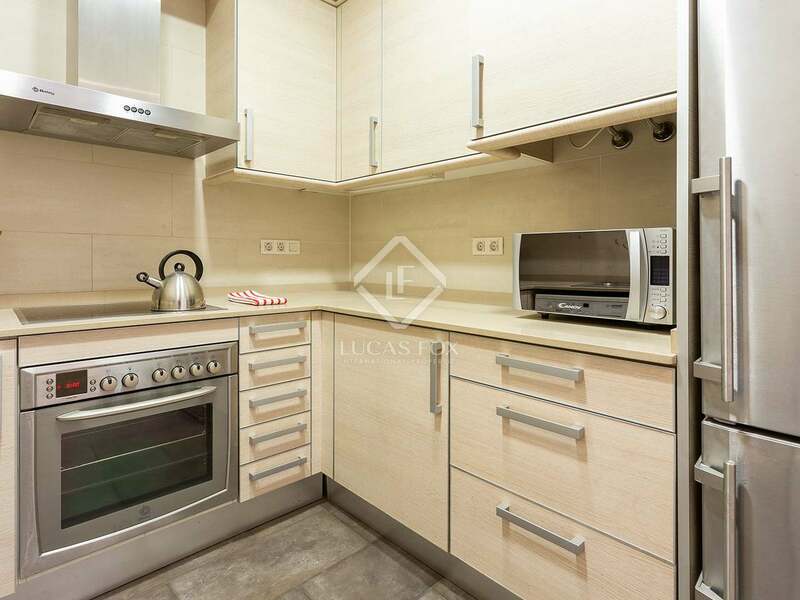 We are welcomed into the apartment by an entrance hall which leads to, on the right, the separate kitchen which is fully equipped with Miele appliances and the spacious living-dining room. This comfortable livng area opens onto a balcony, also accessed from the main bedroom next door. 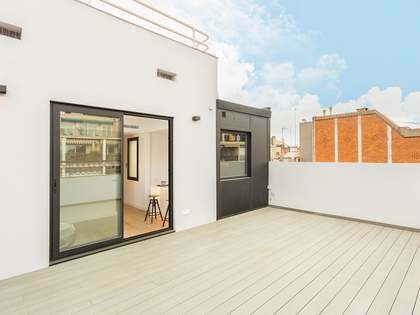 This 5m² balcony is perfect for enjoying a drink outside whilst admiring the city views. 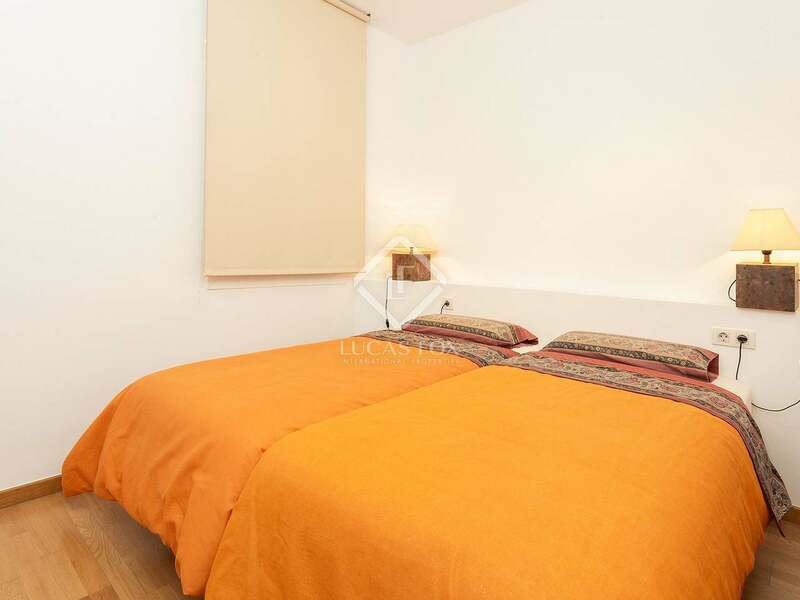 The main bedroom, which is also very comfortable, benefits from great natural light. 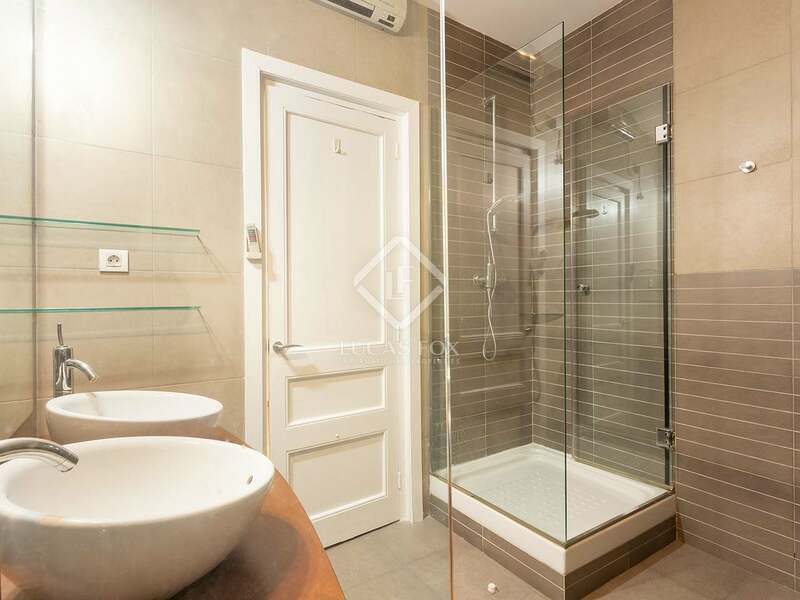 At the other end of the apartment we find a bathroom with a bath and shower, another double bedroom and a room that would make an ideal office, storage room or dressing room. 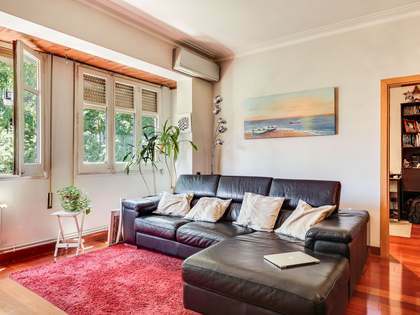 The property boasts attractive wooden flooring and has triple glazed windows, air conditioning and heating for comfort throughout the year. 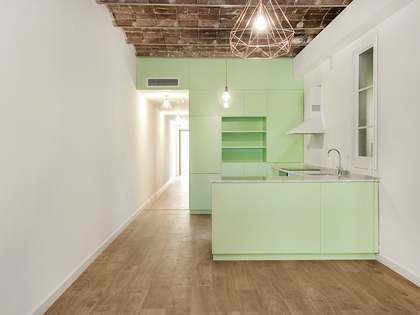 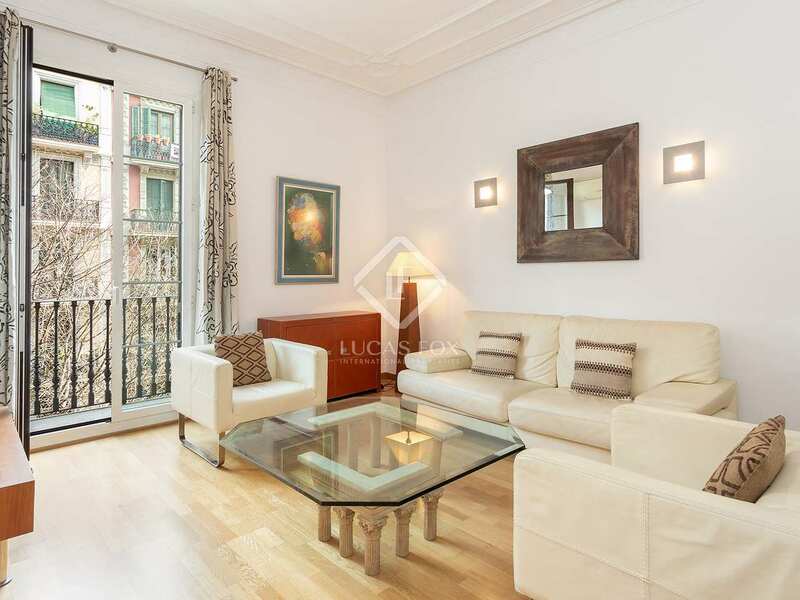 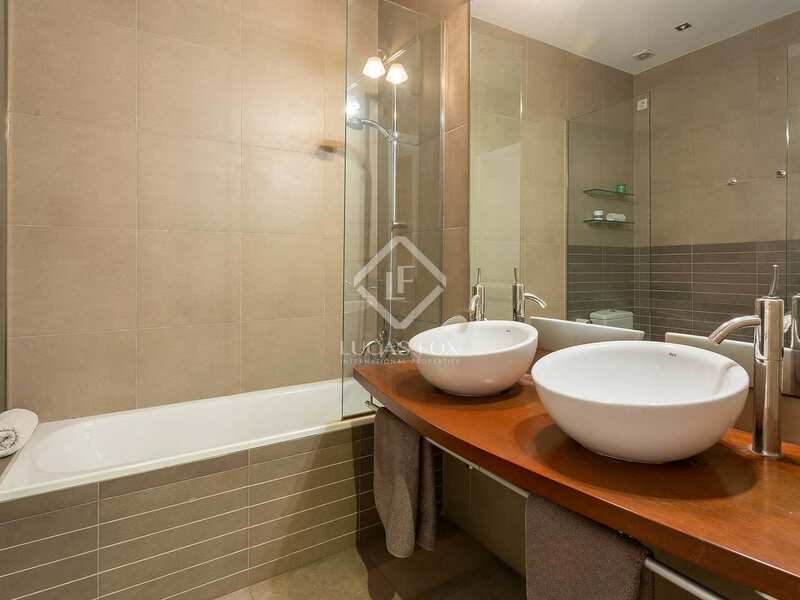 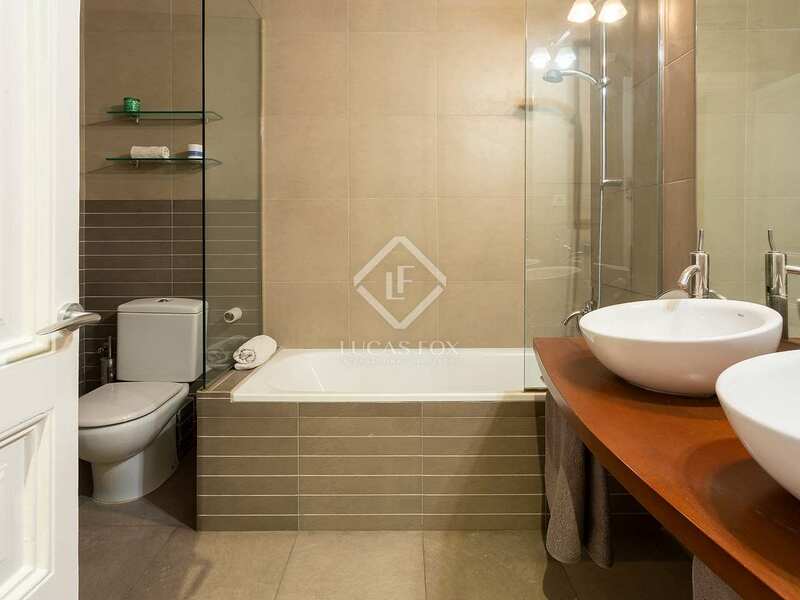 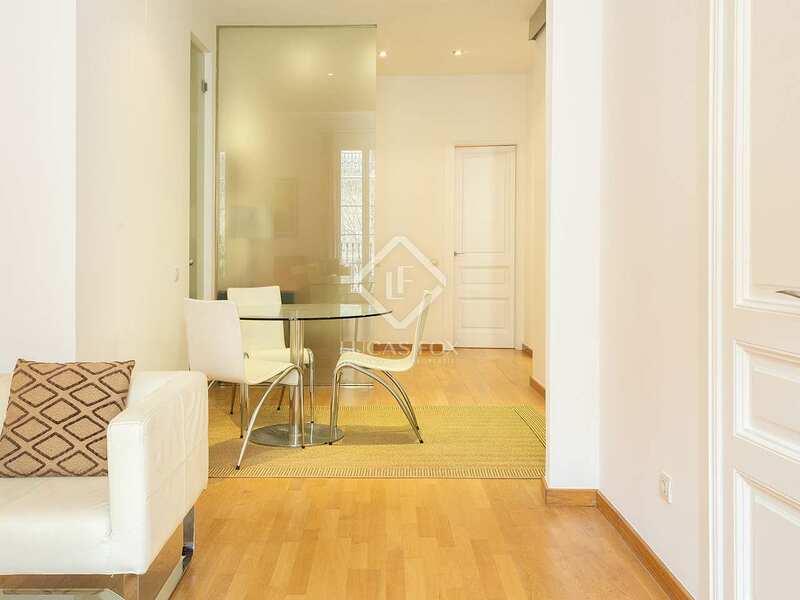 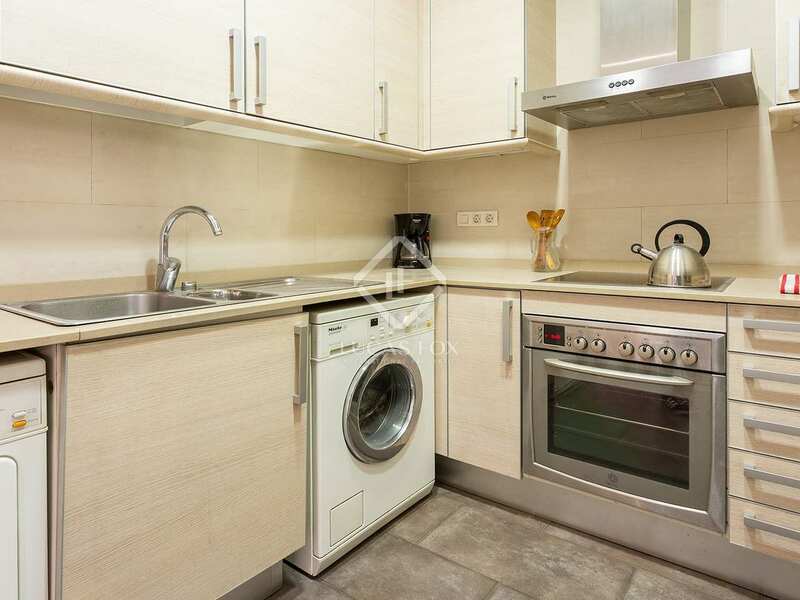 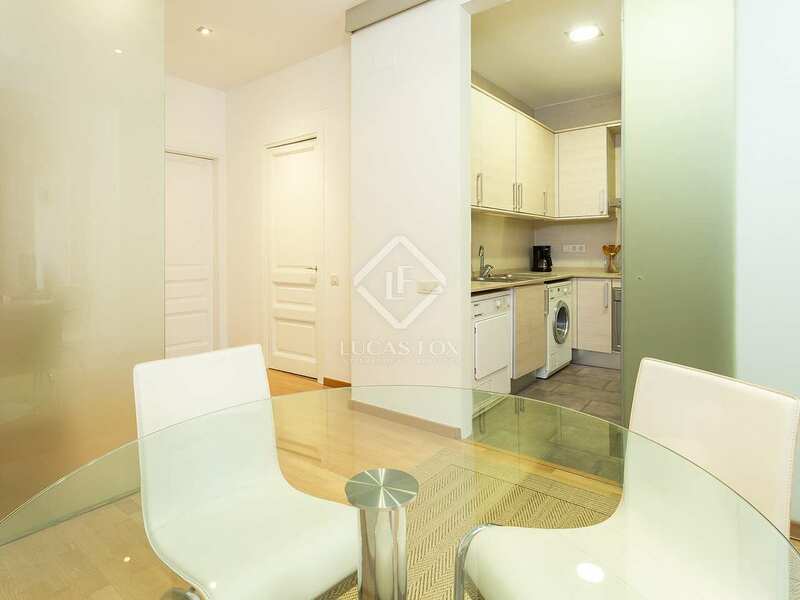 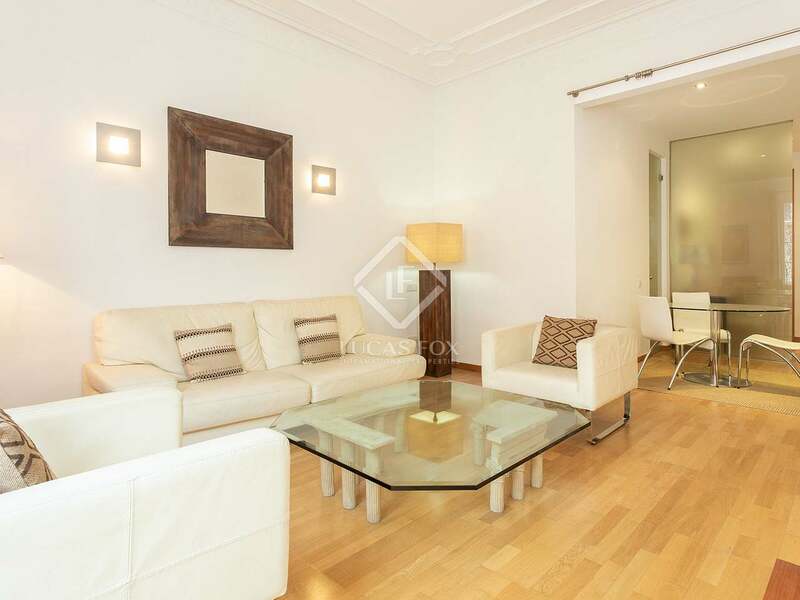 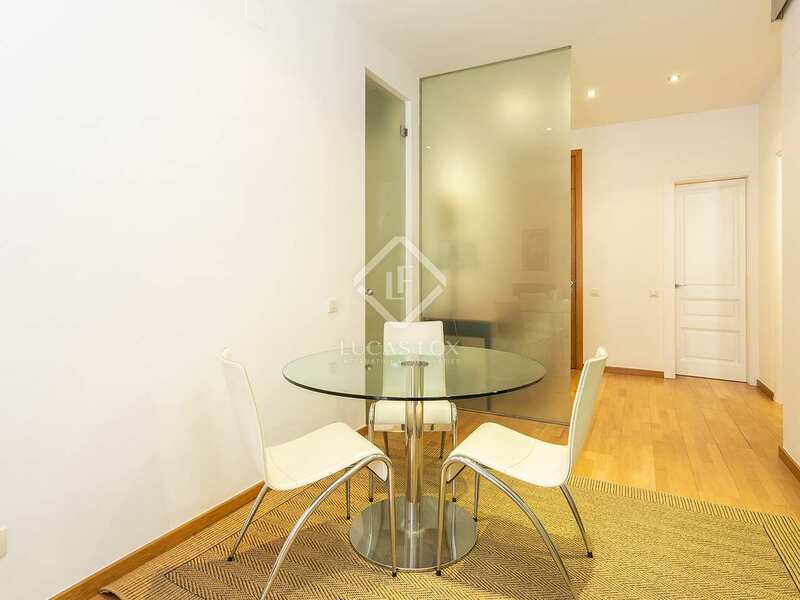 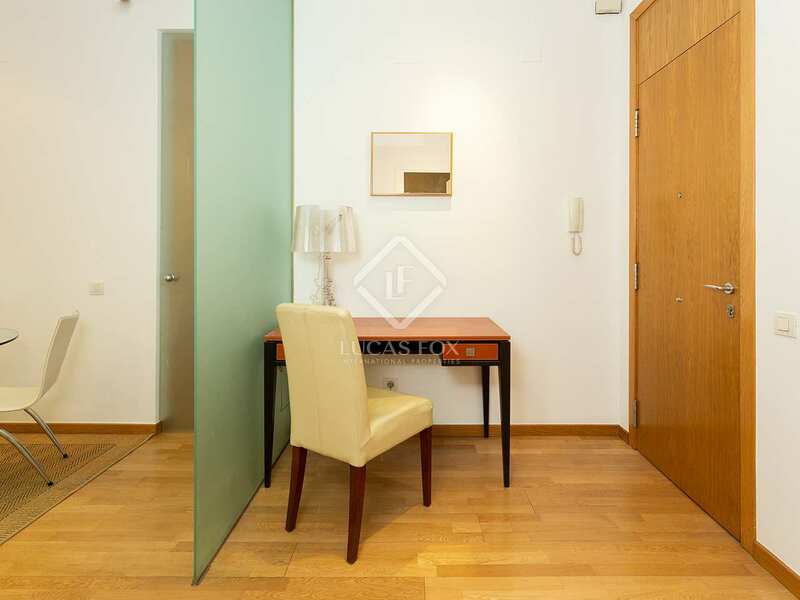 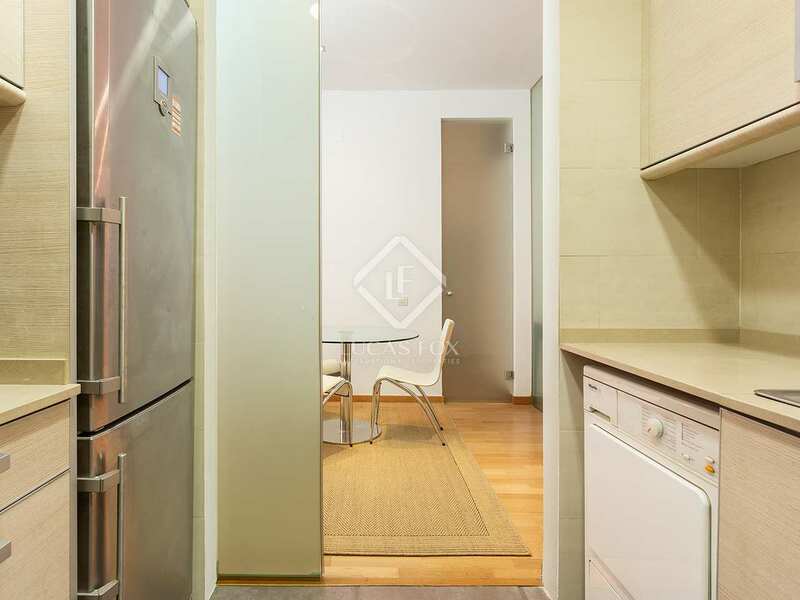 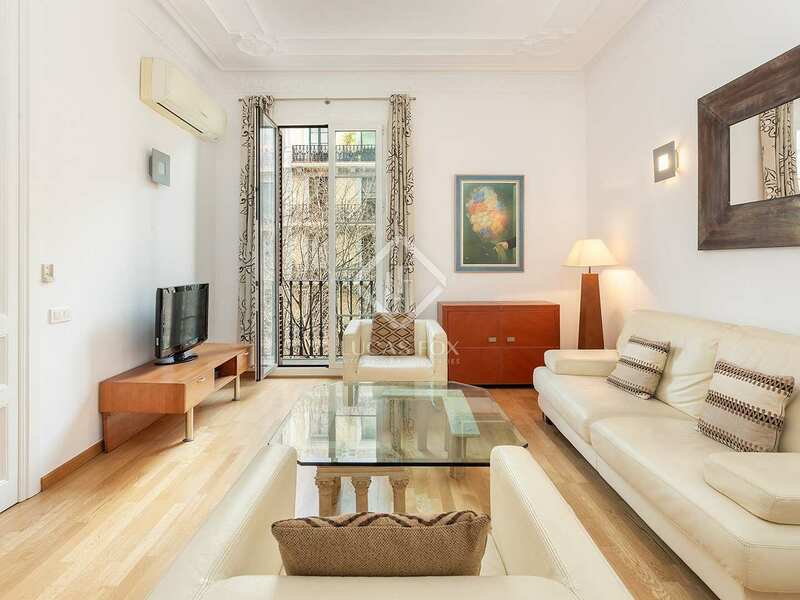 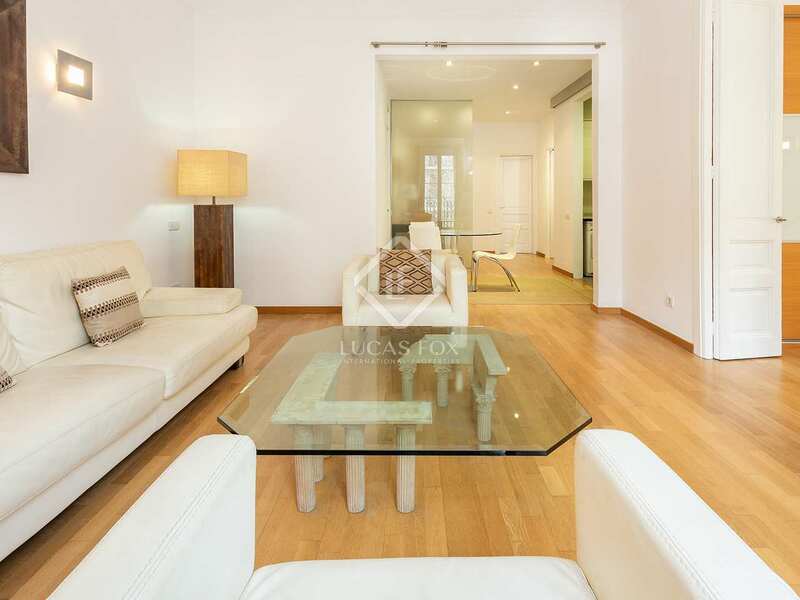 Contact us to visit this incredible 2-bedroom apartment for sale in Eixample Left. 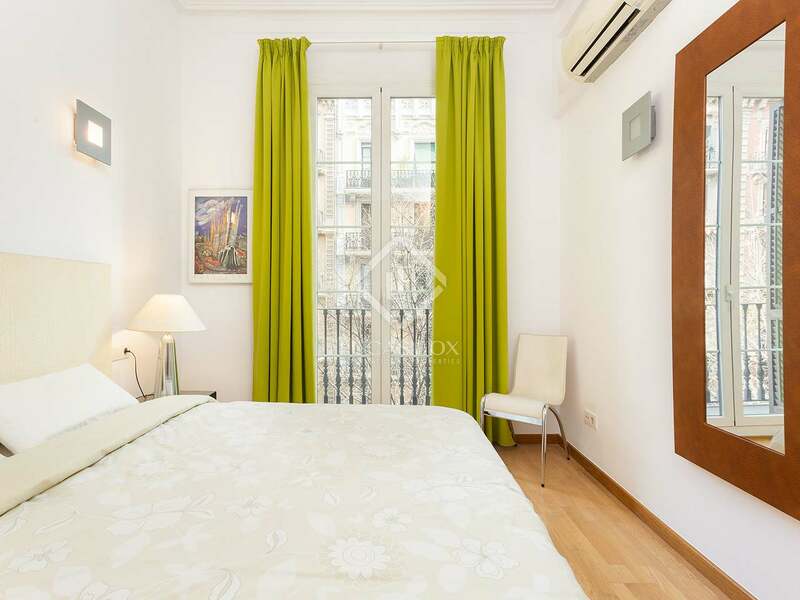 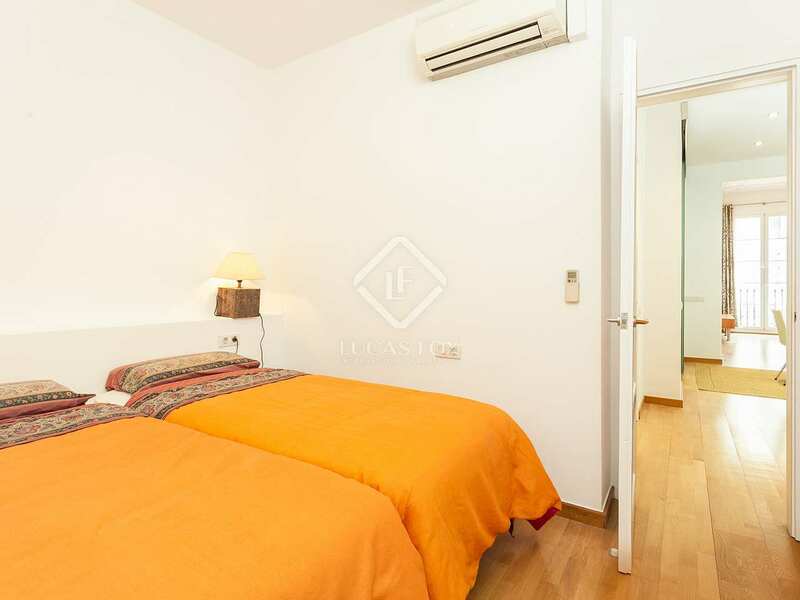 Apartment located in the centre of the city, 10 minutes' walk from Plaça de Catalunya, Passeig de Gràcia and the old town. 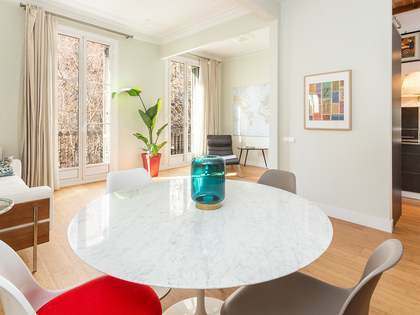 This area is famous for its beautiful modernist architecture and wide tree-lined avenues, as well as being home to the best restaurants and shops in the city. 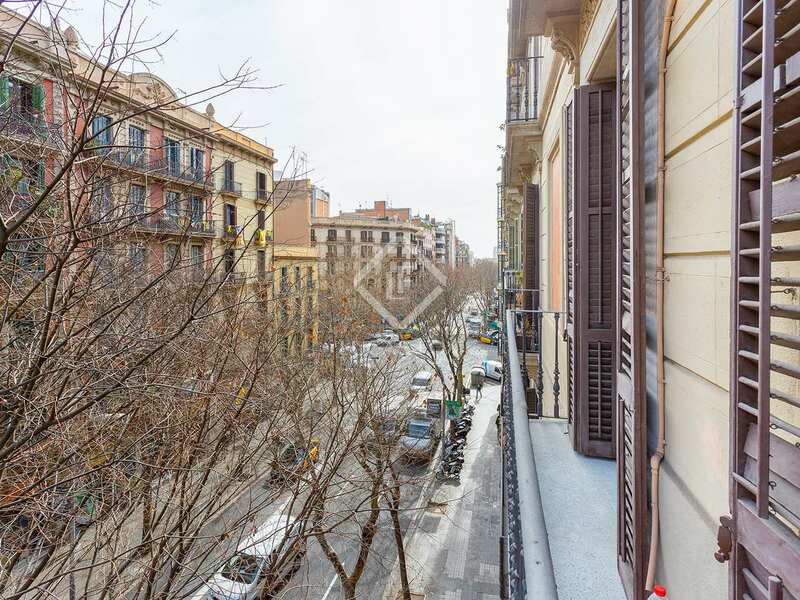 In this district there are also several Antoni Gaudí buildings, such as the Sagrada Familia, Casa Batlló and La Pedrera. 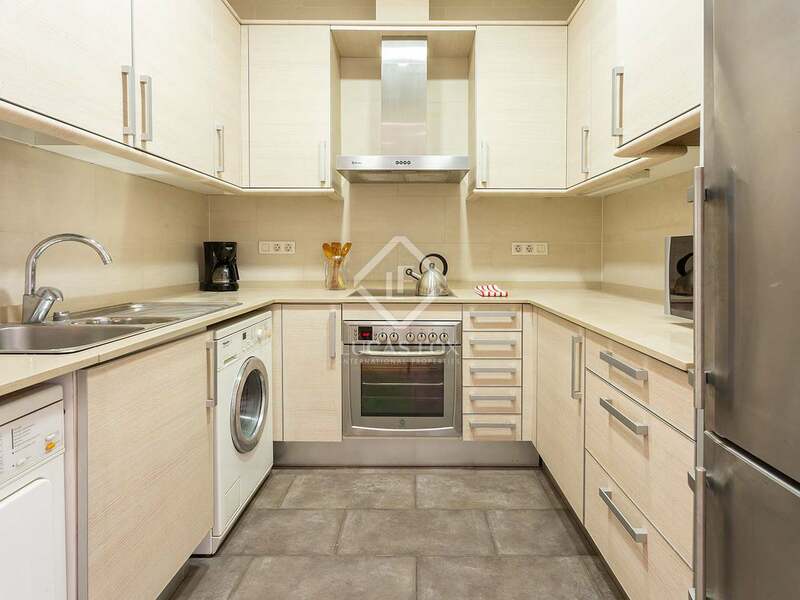 There are also many new buildings, as well as offices, markets, restaurants, hotels, cinemas, international designer shops and everything you need for everyday life. 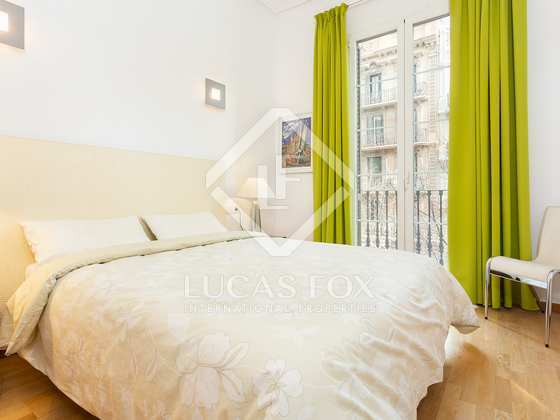 Transport links are excellent and there is easy access to Barcelona's international airport. 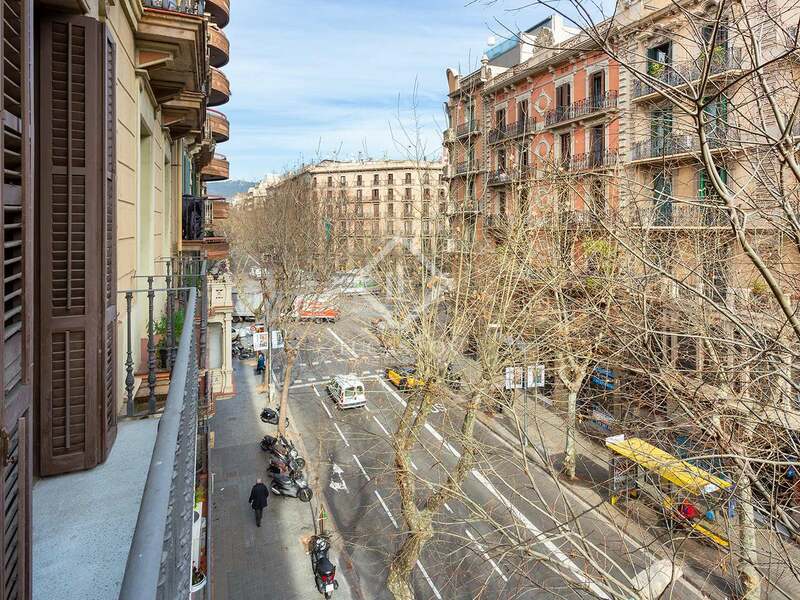 Universitat metro stop is a few streets away.